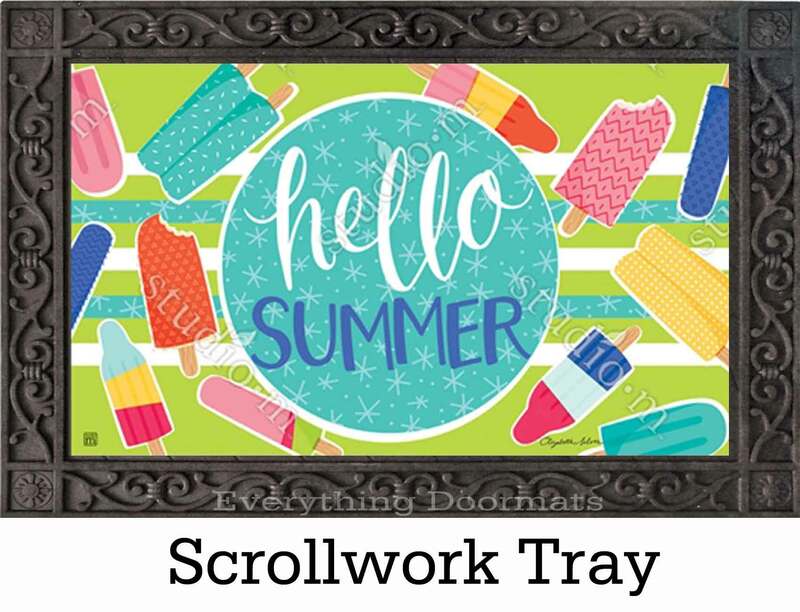 Dressing up your home for the summer? 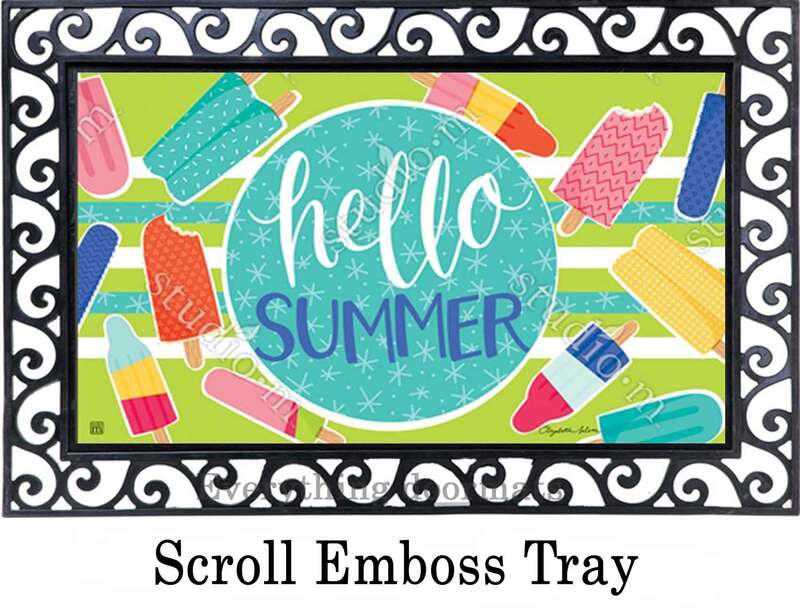 Want to add some fun summer colors and sandals to your decor? 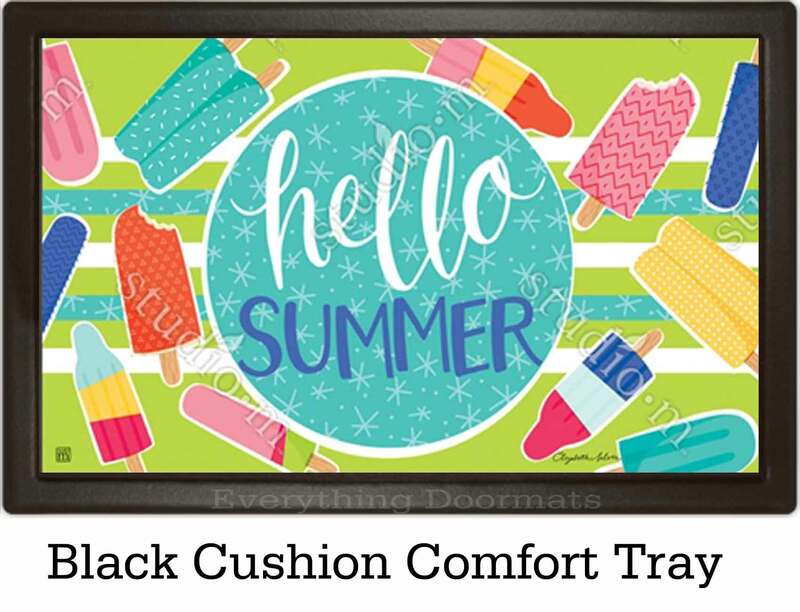 Then this Ice Cream & Popsicles MatMate Insert Doormat will make the perfect addition to your home. 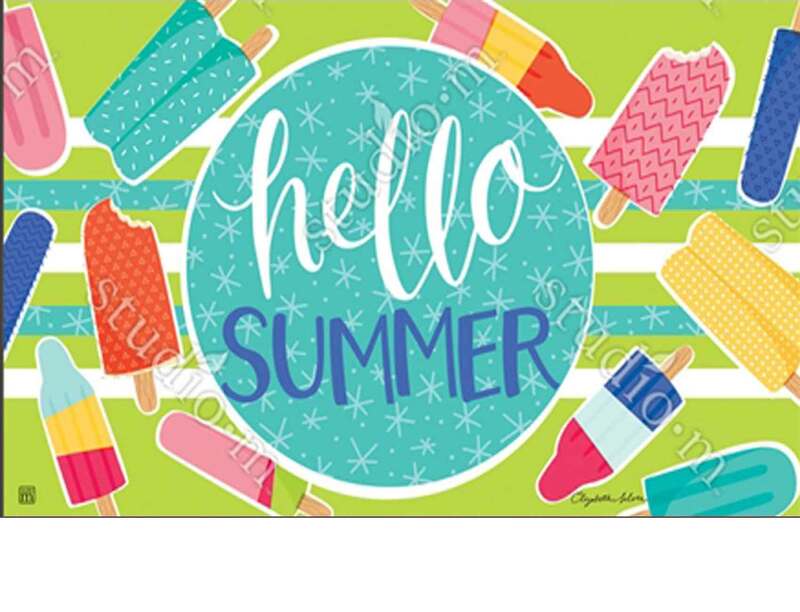 Created using a dye sublimation proces that forces the ink deep into the polyester top surface, this mat is fade and stain resistant. Its gorgeous colors and stunning beauty will fit in just about any environment including both inside and outside your home. 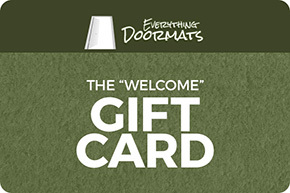 Made with a recycled rubber back this mat is slip resistant and so it will not slid around. 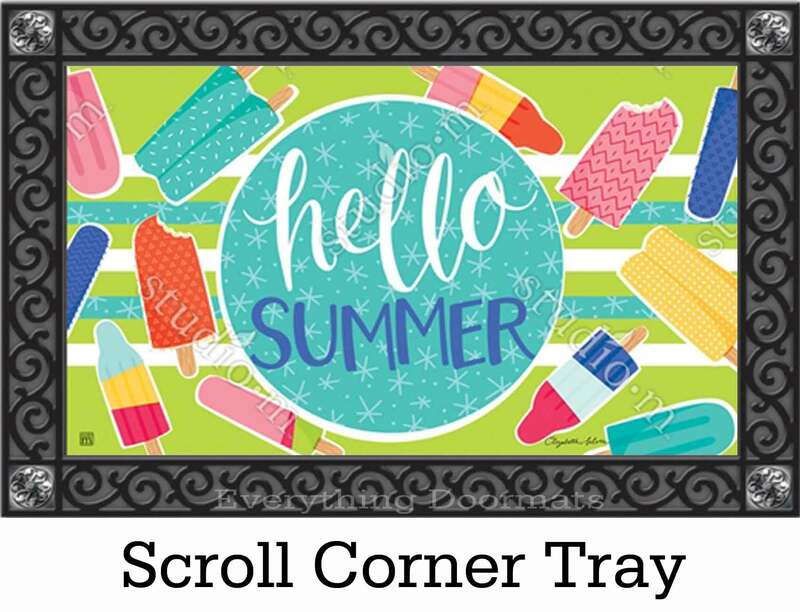 This summer Ice Cream & Popsicles MatMate Insert doormat is 17 3/4" x 29 1/2" when used as a stand-alone mat. 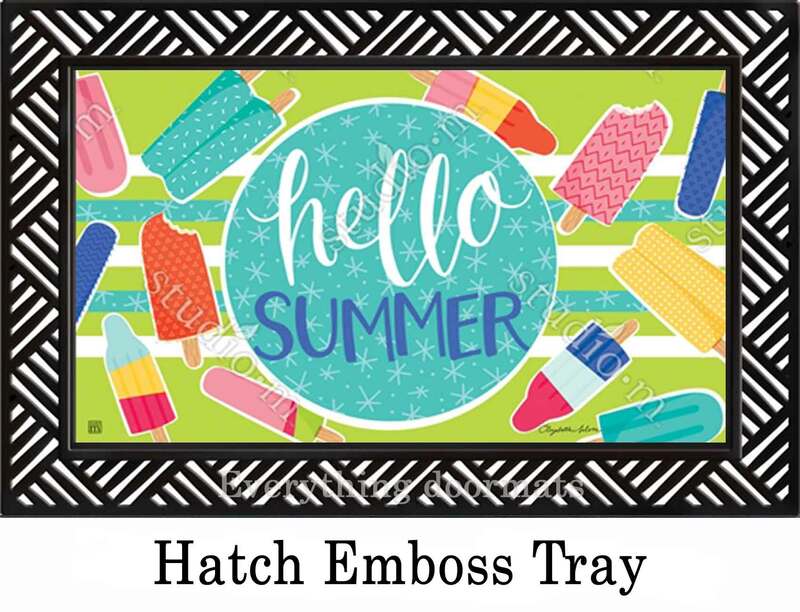 When paired with the outdoor tray it is 24" x 36" x 5/16" and when paired with the indoor tray 21" x 33" x 7/16". MatMates are a registered trademark of Magnet Works, Ltd.